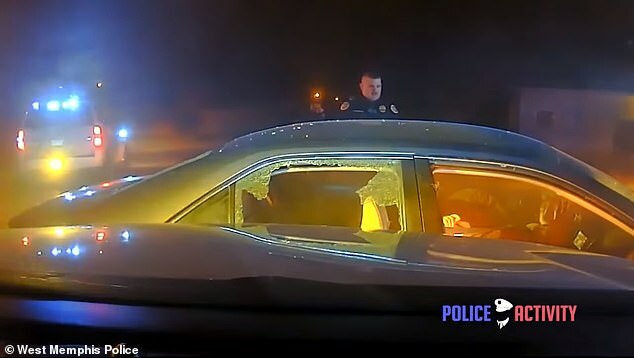 Arkansas authorities have released the dashcam footage that shows the moment two suspected car thieves were shot dead by officers after they ran over a cop during a wild police chase. In the video, officers are seen pursuing a vehicle driven by Megan Rivera, 32, on January 16. 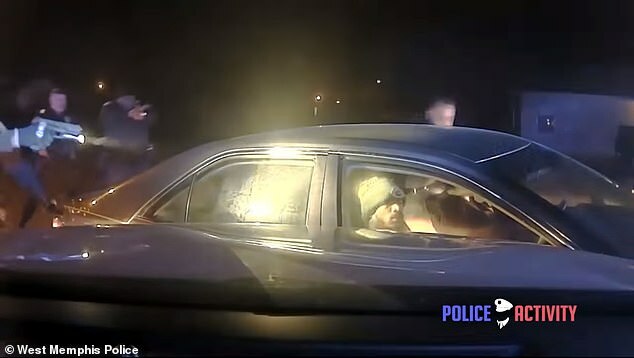 De'Angelo Brown, 30, was the passenger in the car that West Memphis police say was stolen from a 72-year-old in South Carolina. For several minutes, Rivera leads the officers on a chase that sees the vehicle pick up speed and slow down multiple times. Officers are seen attempting to stop the vehicle several times by using a tire deflation device and boxing the vehicle in. But Rivera refused to pull over and ultimately rammed several patrol cars. 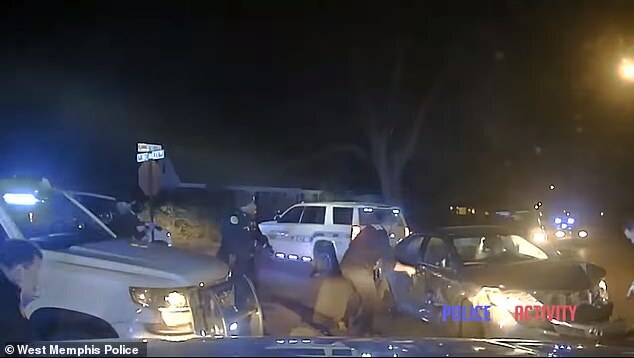 Toward the end of the video, a patrol car is seen hitting the vehicle, causing it to turn into the front yard of a home. Police then attempt to surround the vehicle with patrol cars as one officer gets out with his weapon drawn. At one point officers on foot try to bust the windows of the vehicle just moments before Rivera backs up and pulls off again. It was in that moment that she ran over one of the police officers. Six officers then opened fire when the vehicle struck the officer, riddling the car with bullets. The officer was treated and released from a hospital. 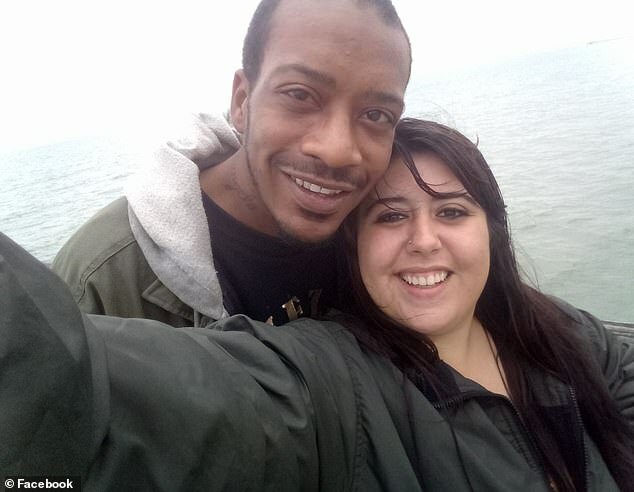 Rivera and Brown, who were believed to have been a couple, were pronounced dead at the scene. Authorities said the chase started after an officer observed the car with its high beams on and no license plate. On Thursday, prosecutor Scott Ellington said no charges would be filed against the West Memphis police officers. Ellington said that the case is now closed. 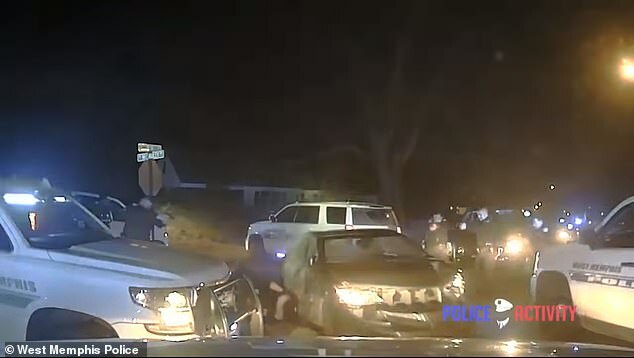 Though no charges have been brought against the officers, an internal investigation is still being conducted by the West Memphis police. The six officers were placed on administrative leave with pay during the investigation.